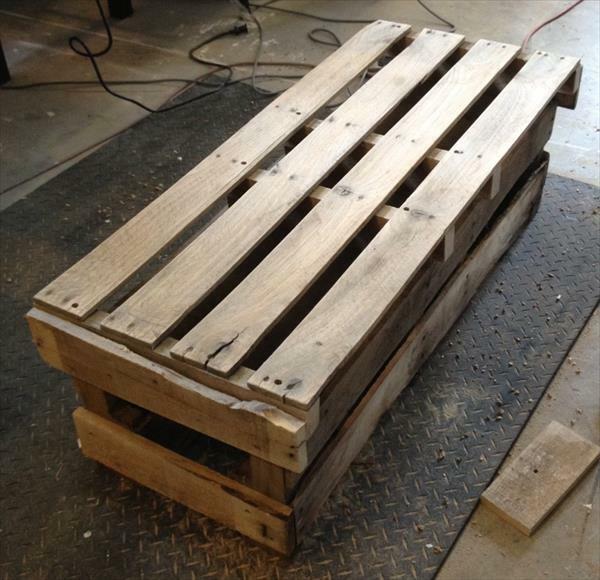 You can remodel the pallet wood into any desirable shape and design that you think to be serviceable. 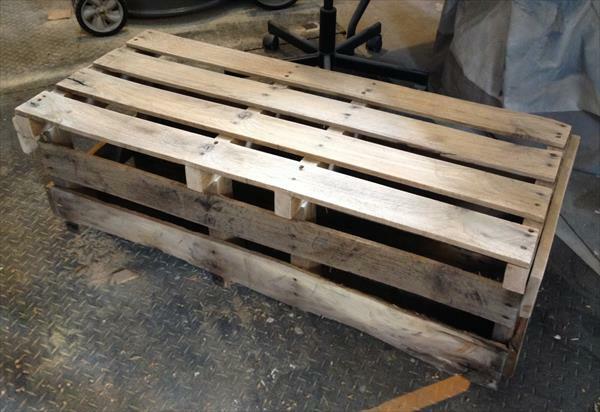 Here we have given the pallets a rectangular cube shape that can act in various different ways. 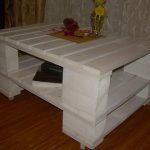 You can use it as a DIY pallet bench or coffee table as it will really act great in both types of needs. 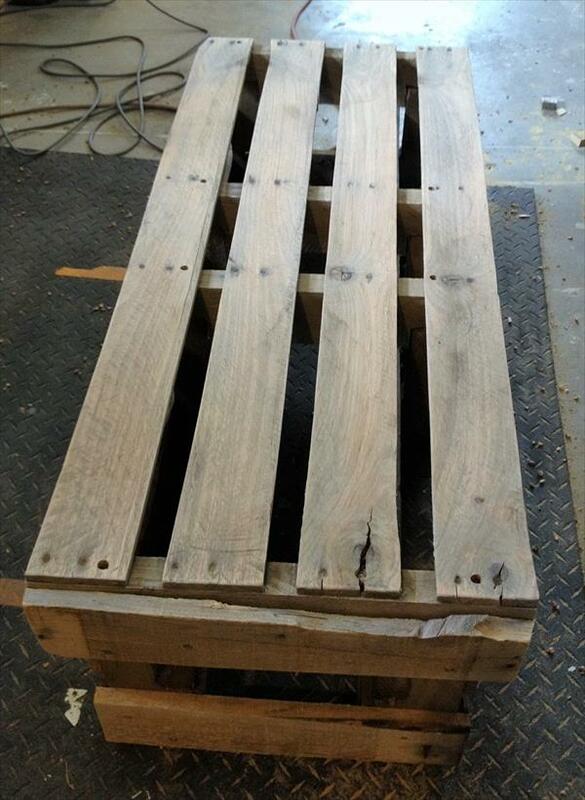 This full of character DIY pallet bench will be amazing addition to your home porch for sitting, relaxing and daydreaming. 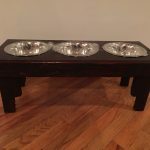 Use it to support your beverage and eatable at mid of your DIY pallet patio furniture that would also be a swank use of it for sure!! For a cozy bench shape and enjoyable comfort out of it you can make it upholstered or cushioned. This is just a great way to add prominence to your home on a budget. 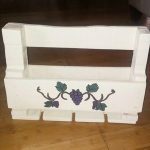 Do give a try to this much feasible, easy-to-built and no-brainer DIY pallet project for functional enlargements of home.